Are you upset because the gutter clogs frequently on the roof? If so, you might go ahead and search for a solution to this problem. Gutters, when clogged, cost money for cleaning if you decide on hiring a service provider. Apart from this, in worse cases, clogged gutters don’t accumulate water, which results in damage to your roof. Nowadays, Leafshield gutter guards are in demand because they are durable and work well when it comes to filtering out leaves, insects and birds. Leafshield sells quality gutter guards in Australia, including Penrith, Blacktown, Emu Plains, St Marys and Wallacia. If you live in any of these areas, you can benefit from gutters guards and meshes made by Leafshield. 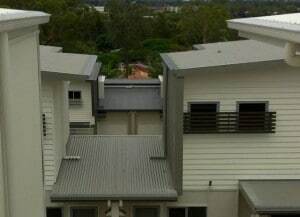 Why To Choose Leafshield Gutter Guards Penrith? If you have never used gutter guards before, you may want to read the features and benefits of Leafshield gutter guards Penrith. Particularly in summer, winds blow causing leaves from Eucalyptus trees, native flora and other leafy trees fall since most of the suburbs are surrounded by these trees. What does this mean? This means leaves get stuck in the gutters blocking the water accumulation and flow. As a result, you have to clean them over and over again every time the the season changes. Installing gutters guards is a piece of cake, all you need to do is contact Leafshield and buy all the Gutter guards and meshes you need.